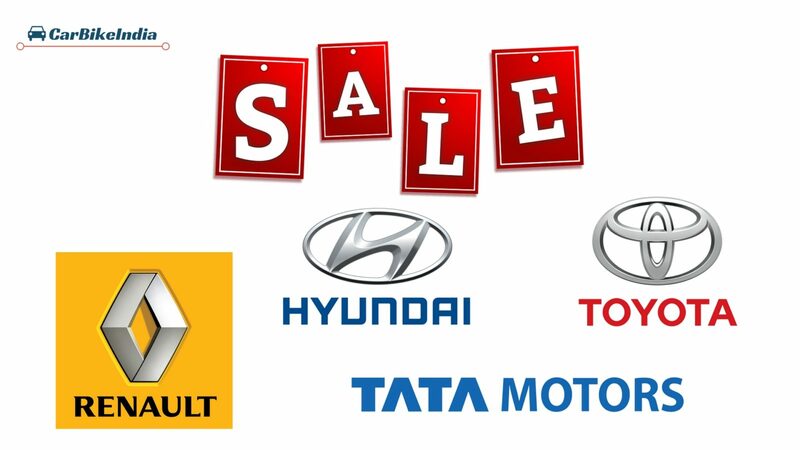 Check out special offers on cars in India. Know the ongoing December 2017 offers on Tata, Hyundai, Toyota and Renault cars. Is car buying on your list this winter? And you’re holding your horses for the right moment? The time is now, say hello to the tempting car offers in December 2017. Like every year, this year too, the car makers in India have gathered their very best of offers to woo prospect car buyers. From cash discounts to exchange bonuses and from low-interest rates to freebies, car makers are letting no stone unturned to attract customers. So, here we bring you the company wise segregation of the car models that acquire the delightful December 2017 bonanza. Indian passenger car major’s portfolio is currently filled with many hot picks to choose from. The cash discount offer under the ‘Mega Offer Max Celebration’ is available on most of the vehicles, however Tata Nano sees a miss from the list. Another interesting skip is the in-demand latest sensation Tata Nexon compact SUV. Maruti Suzuki, India’s largest passenger carmaker is also not shy in giving year end discounts and deals on its most of the lineup. The carmaker, which has more than 50 per cent of market share in the Indian automotive market looks to further broaden its horizon with these tempting deals. Have a look for yourself. The Maruti Baleno, new Dzire, Vitara Brezza and the Maruti S-Cross facelift are kept out of this offer list. India’s second largest passenger car manufacturer under its ‘December Delight Discount Scheme’ offers deals on every vehicle from its stable. To be noted that the high-end variants of Grand i10 i.e. Sportz Option and Asta also qualify for an extra INR 10,000 discount besides the standard concession. Leaving the Era variant in Eon and Grand i10, Xcent (except the E variant) and i20 Active variants customer can gain healthy savings of INR 95,000 on Grand i10 Sportz Option diesel and Asta diesel model. Furthermore, government employees are entitled to get additional benefits of INR 5,000 on any Hyundai car falling between the Eon to i20 Active. ALSO READ: Hyundai i20 Review – Price List, Mileage, Images, Specifications, Exterior, Colours, Features & More! Japan based car maker, Toyota with its ‘Remember December’ year-end offer brings together not only the running models, but also the heartthrob duo Fortuner and Innova Crysta under the offer umbrella. Renault too joins the bandwagon of car makers offering discounts in December. It has listed its bestselling too under the offer table. *The RXZ 110 AMT gets additional corporate discount of INR 7,000 and INR 10,000 of exchange with Renault Selection. *The Renault Stepway also gets additional INR 10,000 on exchange with Renault Selection and INR 7,000 discount for corporate employees. We’ll be updating this list as soon as other car makers also list their December offers. Stay tuned to CarBikeIndia for all the latest car deals. ALSO READ: Maruti Suzuki Dzire Review – Price List, Mileage, Images, Specifications, Exterior, Colours, Features & More!